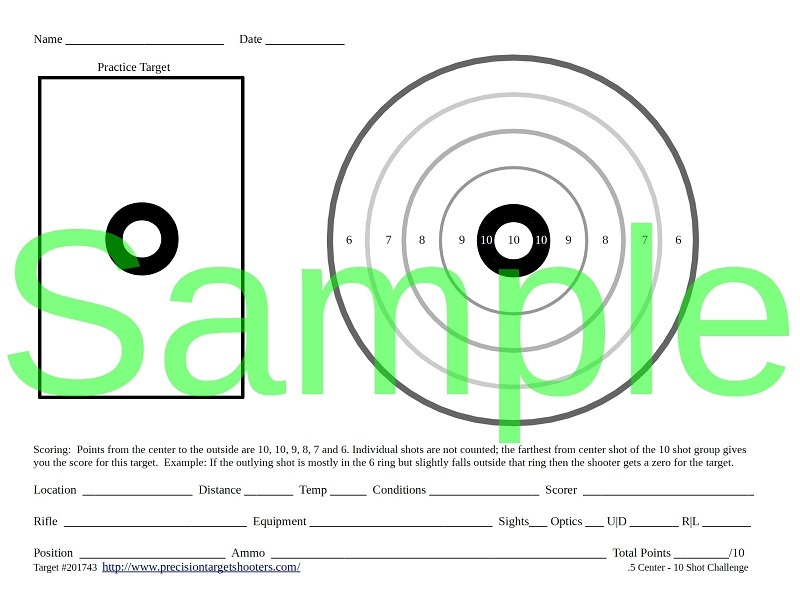 Ten 1/4" dots make for a challenging target for sure. If you miss the dot try again and adjust your score. This table is for free targets #201730, #201731, #201816/ #201834 . 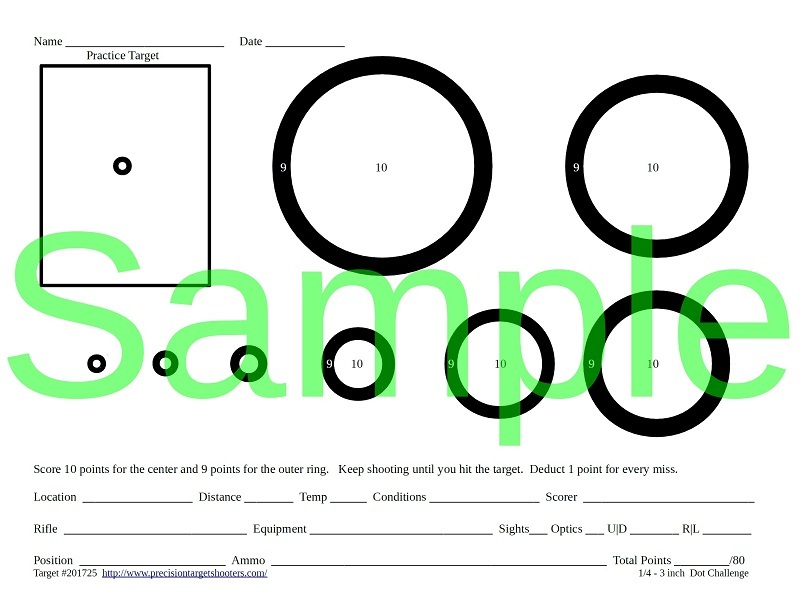 Ten 1/2" dots are twice the size of our smallest dots but that doesn't make this target any less challenging. 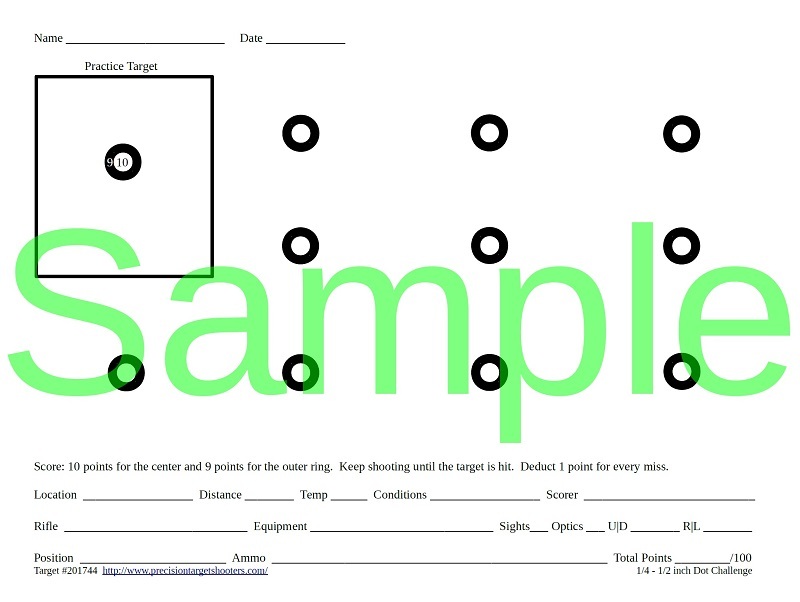 If you find the dots are easy to hit just add a new variable to your routine. This table is for free targets #201732, #201735, #201817. Ten 3/4" dots doesn't sound so tough. Well sometimes its easier said then done. This table is for free targets #201733, #201741, #201818. How can ten one inch dots be so addictive? Work on your fundamentals and improve your skills. 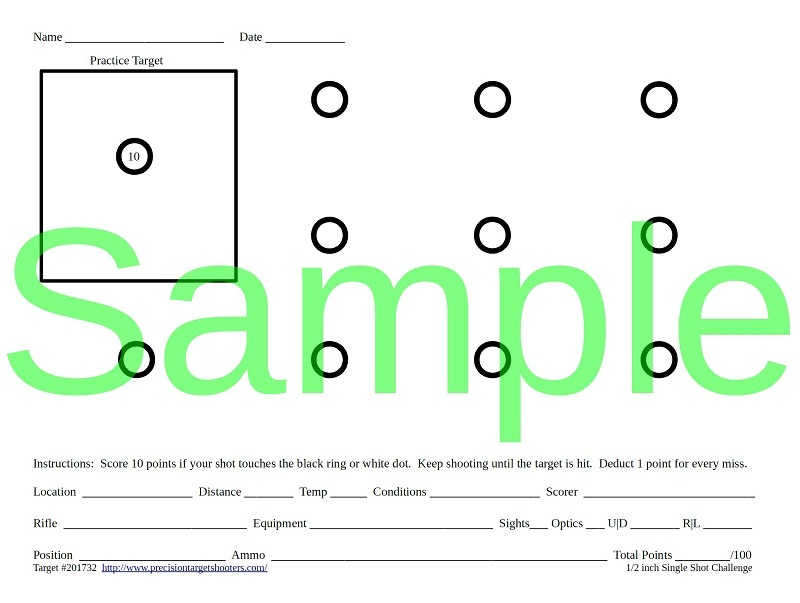 Shoot until you hit the 10 targets. This table is for free targets #201746, #201820. This table is for free targets #201744, #201821. 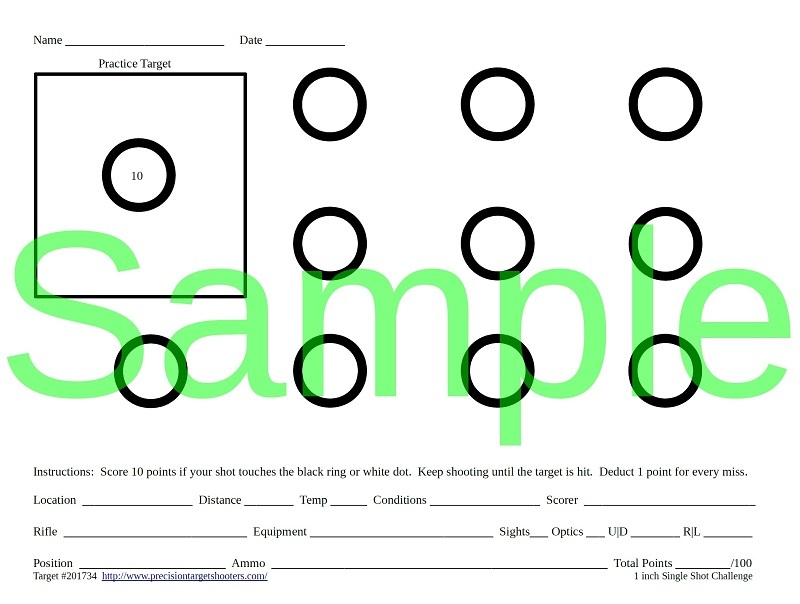 Shoot until you hit the 10 targets. 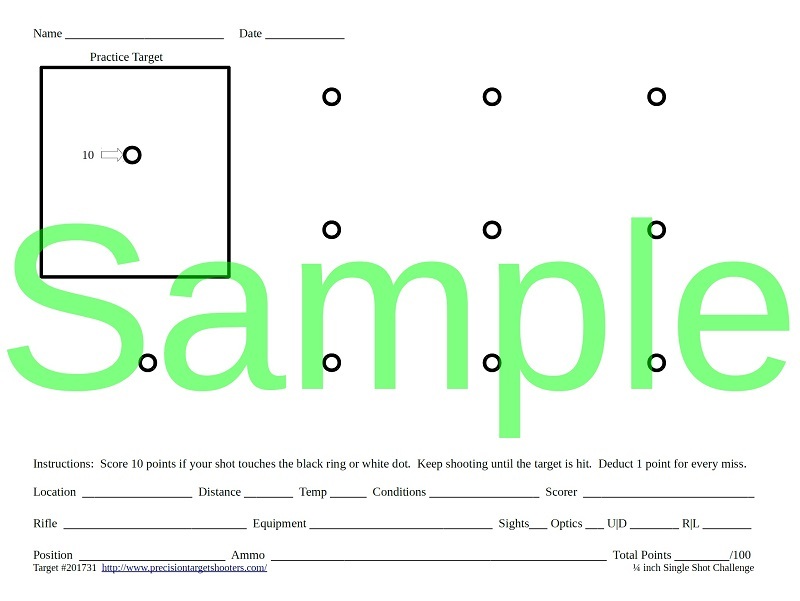 Try the target and share your data! This table is for free targets #201726, #201822. This table is for free targets #201745, #201823. 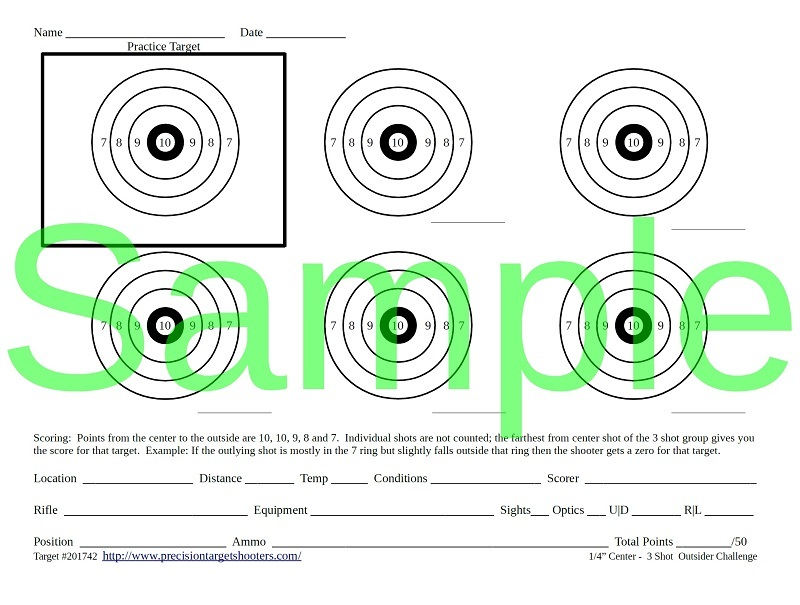 Shoot until you hit all 8 targets. This table is for free targets #201725, #201824. 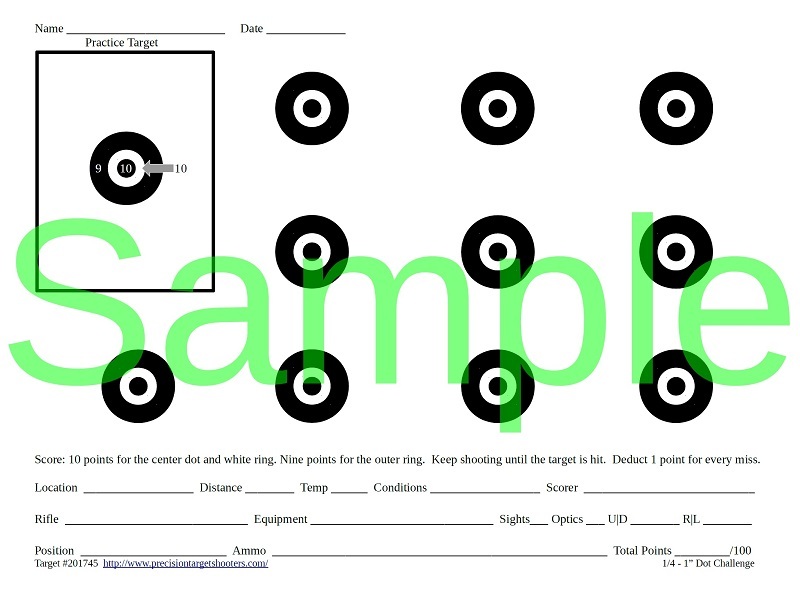 Three shots per target at 5 targets. This table is for free targets #201742, #201826. Ten shots at one target. 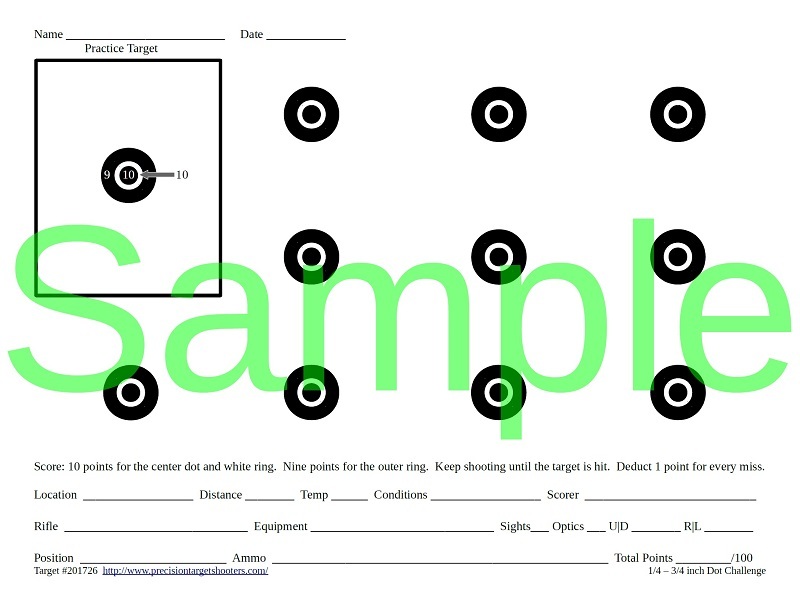 Try the target and remember to share your data! This table is for free targets #201743, #201827.